If President-elect Donald Trump follows through with his promise to repeal the Affordable Care Act, some Republican governors might fight to keep one part of it. 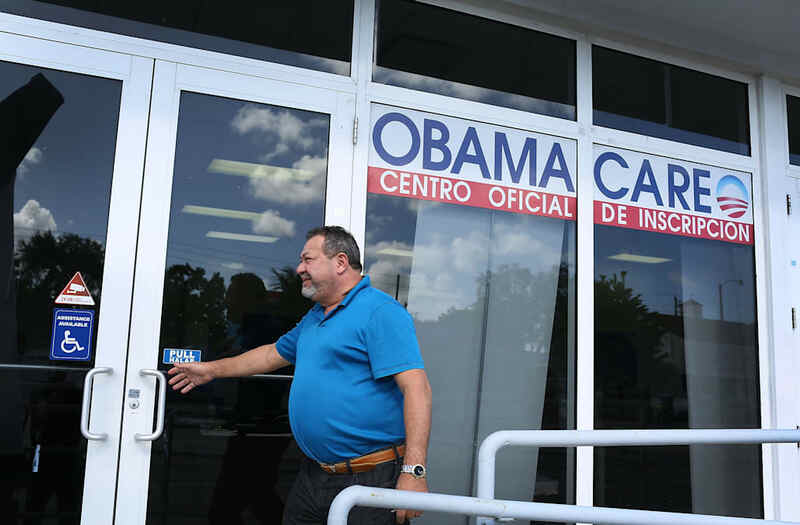 One of the Obama administration's main strategies to reduce the number of uninsured Americans was to expand Medicaid — the federal health insurance program for the poorest U.S. citizens. Medicaid provides health care for more than 60 million low-income Americans. It's funded by both federal and state governments. But a Supreme Court decision in 2012 gave individual states the right to decide whether they wanted to participate in Medicaid expansion. The law dictated that the federal government would cover the cost of expansion for the first three years in states that expanded eligibility to those earning as much as 138 percent of the federal poverty level. When the first round of expansion began in 2014, 17 Democrat-controlled states and the District of Columbia took part. Seven Republican governors, including former GOP presidential candidates John Kasich and Chris Christie, broke party ranks to participate. Opponents say expansion will hurt states' finances over time, since the federal government will require states to pick up 5 percent of the tab in 2017. That will rise to 10 percent in 2020. Some experts say Republican-led states are now reluctant to repeal the expansion because it provides federally funded health care to so many. Thirty-one states and Washington, D.C., have adopted Medicaid expansion. Nine of them elected a Republican governor and state legislature in this year's election. Vice President-elect Mike Pence adopted a modified version of the expansion in Indiana last year.